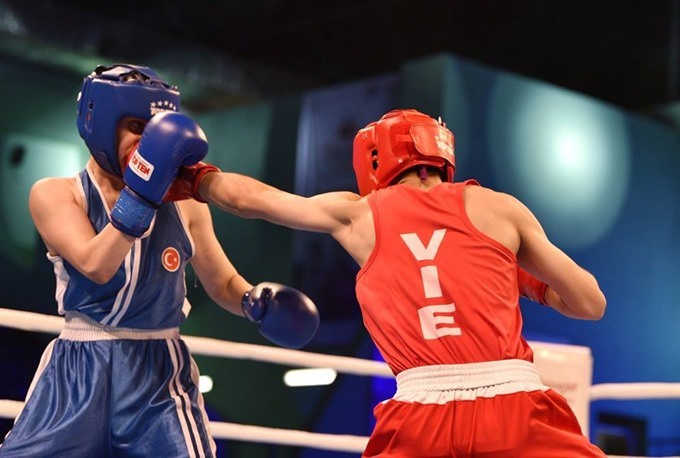 HÀ NỘI — World youth boxing championships silver holder Đỗ Hồng Ngọc of Việt Nam has bagged a slot to participate at the Youth Olympics next year. Ngọc, 17, competed in the women’s 57kg category. The athlete from Cần Thơ is one of the country’s most outstanding young boxers. She grabbed a silver at the national championships and a gold at the Southeast Asian Youth Boxing Championships earlier this year. Ngọc was the sole Vietnamese representative at the world tournament in India. She got a bye to the second round where she beat En Havanur of Turkey 5-0. She then defeated Martinez Roma Linda of the United States 5-0 in the third round. In the semifinals, Ngọc won 3-2 against Chinese Hu Cailling. Her victory made Ngọc the best Việt Nam boxer at a world event. She, however, lost 1-4 in the final to Chopra Shashi of India and took home a silver medal. The world tournament, which closed on Sunday, attracted 160 athletes from 31 countries and territories, punching in 10 categories ranging from 48 to 81kg. "We have received confirmation from the International Boxing Association -- AIBA -- about Ngọc. She will take Shashi’s slot at the upcoming Youth Olympics. Shashi will be over 18 next year so she cannot compete," Vũ Đức Thịnh, general secretary of the Việt Nam Boxing Federation, said. The third Youth Olympics 2018 will be organised in Argentina.